BRIGHTON, Mich.- Tomorrow is the day, we will show our love and affection for that special someone most likely with some type of flowers, chocolates, candies, or gifts. Those who are not excited by Valentine's Day refer to February 14th as a "Hallmark Holiday", and although the card company does much business surrounding this holiday, they did not invent it. To get in the spirit of the lovely holiday tomorrow, entertain these Valentine's Day History & Fun Facts from your Brighton Area Ford Dealer! -Although the complete history of Valentine's Day remains a mystery, it is thought that its origins stem from either the Roman celebration of Lupercalia on February 15, or from the Christian St. Valentine that was executed on February 14 for secretly marrying couples. -The first Valentine was sent by the Duke of Orleans in 1415 to his wife after being captured. -The first box of Valentine's candy was given in the late 1800's. -Valentine's Day is celebrated all over the world, including in the United States, Canada, Mexico, the United Kingdom, and Australia. -Valentine's Day is the 2nd largest day for exchanging cards, just behind Christmas. Over 1 billion Valentine's Day cards are give in the United States each year. -Of flower buyers on Valentine's Day, 73% are men and only 27% are women. -Pets aren't excluded, 3% of owners will give a Valentine gift to their pet. -Around 110 million roses, mainly red, are sold and delivered within a 3-day period surrounding Valentine's Day. 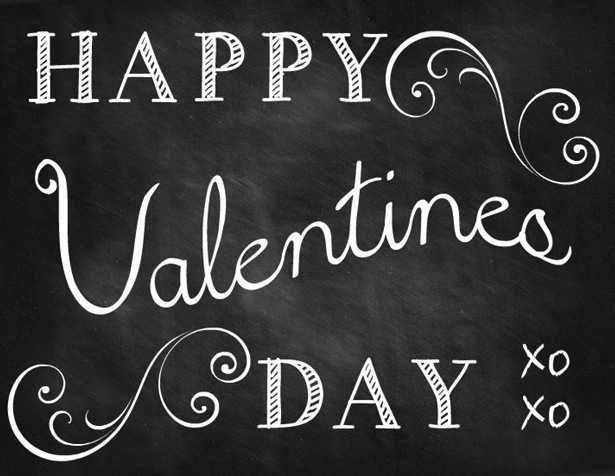 Happy Valentine's Day from Brighton Ford! Spread the love and show your Valentine's Day spirit tomorrow, February 14th! If you're feeling extra generous and want to gift your Valentine a New Ford Car, check out our 2013 Ford Focus Brochure or 2013 Ford F-150 Brochure! Brighton Ford is located at 8240 Grand River Ave. just north of I-96 in Brighton. We are a family owned and operated business that strives on customer satisfaction. For more information on Brighton Ford visit BrightonFord.com or give us a call at (800)-836-8206.